The Oklahoma Food Banks and the Conservation Partnership (Oklahoma Association of Conservation Districts, Natural Resources Conservation Service and the Oklahoma Conservation Commission) have joined together to fight hunger while conserving natural resources. Through Farm to Food Bank, farmers are planting multi-species, edible cover crops that increase the health of the soil. 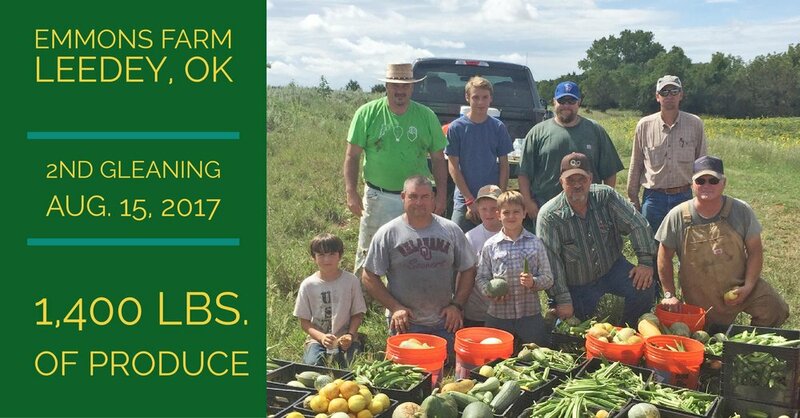 In 2017, there were four pilot farms across Oklahoma. In 2018, we have expanded to include twelve sites. 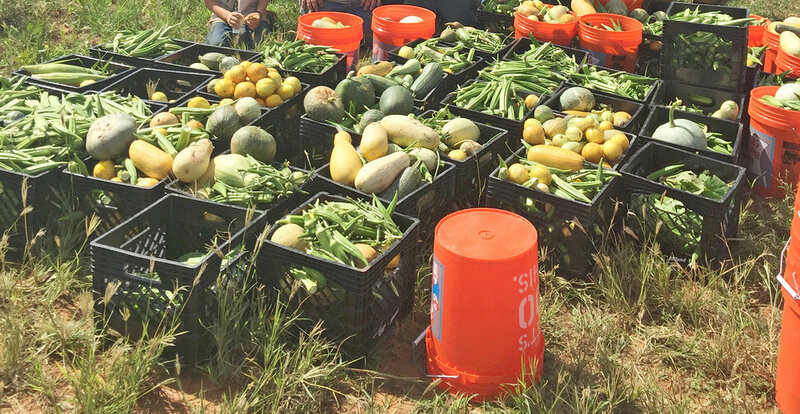 Oklahoma farmers have volunteered to plant and donate up between two and four acres of edible cover crops to the Oklahoma Food Banks. Cover crops, like squash and okra, are staples in a healthy diet. The Oklahoma Food Banks, which consists of the Regional Food Bank of Oklahoma and the Community Food Bank of Eastern Oklahoma, place a priority on increasing the volume of fresh fruits and vegetables distributed statewide. Last year alone, the Regional Food Bank distributed more than 12.7 million pounds of produce to clients, representing 24 percent of the nonprofit’s total distribution. That number is expected to grow this year. The Farm to Food Bank Project needs volunteers to help glean produce. If you are interested in volunteering, click here. The Farm to Food Bank project is a collaboration between the Regional Food Bank of Oklahoma, the Community Food Bank of Eastern Oklahoma, the Oklahoma Conservation Commission, the United States Department of Agriculture Natural Resources Conservation Service in Oklahoma, Green Cover Seed and the Oklahoma Association of Conservation Districts. Agriculture producers interested in participating in the Farm to Food Bank project may submit the form below. Please contact Sarah Blaney at sarahblaney@okconservation.org.